Casey Tibbs was what you might call a specialist in the stunt field, his specialty being bronc riding, and hardly anyone has done it better than Casey. rode most of the toughest rodeo broncs til their tongues hung out becoming a nine time World Champion Cowboy gracing the cover of LIFE magazine in 1951. Casey’s time in the stunt profession was brief and sporadic. 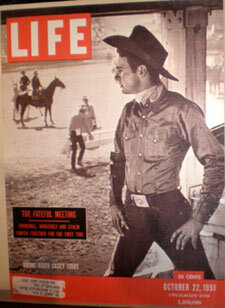 He certainly wasn’t much on the Hollywood hogwash and preferred wranglers and real cowboys for his friends. Mainly, Tibbs traveled the world promoting the sport of rodeo that he loved so much. When he did accept jobs on films such as “The Rounders”, “Heaven With a Gun”, “Wild Heritage” and “The Plainsman” (Don Murray version), it was mostly doing what he did best and that was bronc stompin’. Often driving purple Cadillacs to locations and wearing sporty tailor-made western suits, you knew Casey had arrived. Other films he was in are “Bronco Buster”, “A Thunder of Drums”, “Junior Bonner”, “Breakheart Pass” and TV episodes of “Stoney Burke”, “Tales of Wells Fargo”, “Branded”, “Rounders” and “The Monroes”. Getting bored with the road and the changes in rodeo, Casey settled down in Ramona, CA, in ‘76 to raise horses on his ranch. It was there one of the greatest, if not the greatest, rodeo stars died of cancer on Jan. 28, 1990. Only 60 when he died, Casey had suffered serious injuries time and again and had gone through several fortunes in his brief lifetime. 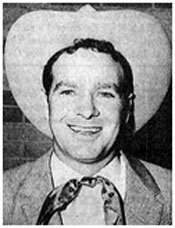 As Audie Murphy had done in the war, Casey had won almost every award rodeo had to win. 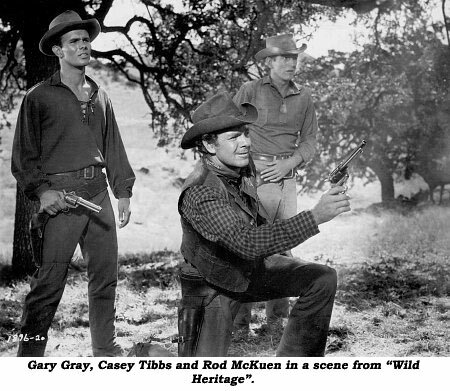 I did a few films with Casey and, although not allowed to be a close friend, he was always polite and gracious to me whenever our trails crossed. I think Casey’s stunt career would have flourished in the heyday of westerns. (He was not a good actor.) Casey didn’t like taking orders from people who couldn’t spell horse let alone ride one with the class and panache Casey had. Hang it in ‘em, Casey!